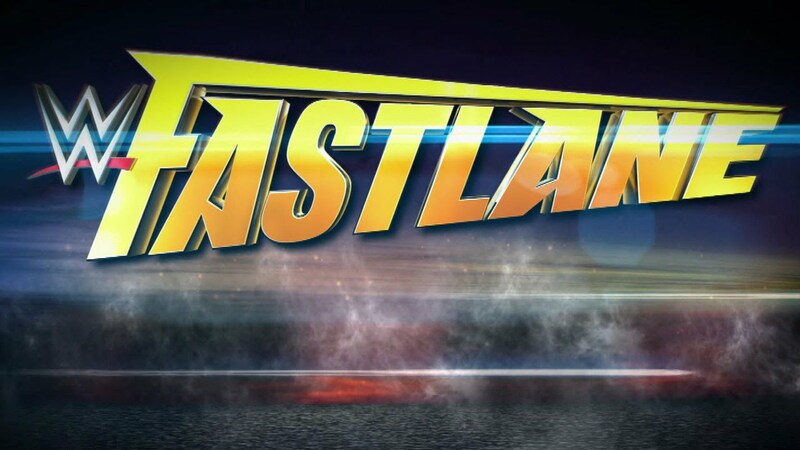 WWE Fastlane seemed to be stuck in third gear as the 2016 edition showed a lot of promise but little payoff. The second edition of the Fastlane pay per view had good matches but the card was poorly planned detracting from the show. The lackluster Charlotte vs Bella match and the abrupt finish of the Titans/Wyatts and the triple threat match dragged down good matches from Owens, Ziggler, Del Rio, Kalisto Styles and Jericho. Couple that with some oddly timed comedy segments and the show felt like a glorified network special. With strong performances held back by poor creative decisions the wrestlers did the best with what they had. The show kicks off with a pleasant surprise as the kickoff match has been made a two out of three falls match which means that the title can change hands via count out or DQ. Kalisto revs up the crowd as he is surely over in Cleveland. Kalisto and Del Rio seem to have ironed out many of the kinks from their prior matches. There is definitely better chemistry between the two. The moves were crisper and the talking in the ring was at a minimum. Kalisto scored the first fall because Del Rio used a chair on the outside forcing a DQ. After the bell Del Rio showed a killer mean streak laying into the U.S. champ before using the double stomp to even the score at 1-1. For the rest of the match Del Rio and Kalisto told a clear and concise story. Kalisto was the baby face that wouldn’t die and Del Rio the storied colossi. Kalisto scored the pin via roll up after reversing an attempted “Salida del Sol” into a face first turnbuckle slam for Del Rio. Announce team changes back to normal PPV team of Michael Cole, Byron Saxton and KBL. After a rocky start for the NXT Alums Sasha Banks and Becky Lynch managed to work together very well. Naomi and Tamina demonstrated classic and sound heel tactics by separating Becky from her partner and cutting the ring off. After a few minutes of constant punishment the crowd begins calling for Sasha Banks. After getting the hot tag, the crowd pops for a big spot from the boss as she lands a double knee spot in the middle of the ring. Banks locks in the Bank statement while Becky uses the disarmer on Tamina for a dual submission victory. This match is more than just another solid outing from these two consistent performers. Ziggler and Owens performed exceptionally. The only drawback is that they always do. This match would have been better served if they hadn’t wrestled so many times before. IN any other show this would have been the match of the night. The super kick exchange was a good example of how well coordinated these two competitors are in the ring. Ziggler hitting his “zig zag” out of nowhere was a surprise and the near fall had the Cleveland crowd standing up. Owens kicks out and manages to hit the pop up power bomb landing the victory for KO who will head into his first WrestleMania as the Intercontinental Champion. A good entertaining match which saw six lumbering men move with urgency and purpose. Braun Strowman has shown just a bit of what he has in the tank this match. Ryback’s new attitude makes him more versatile and entertaining to watch. Kane, big Show, Harper and Eric Rowan all were solid and made the aging Kane and Big Show look like legitimate threats. Ryback did hit Luke Harper a bit hard with harper looking like he was hurt. Leading to the match being called early. Bray on the outside was good as a mouthpiece a la Xavier Woods. This match was much better and enjoyable than it had the right being. An emotional Brie Bella comes out to her own music and wearing Daniel Bryan’s kick pads. AJ Styles keeps showing why he was such a big get for the WWE. Styles and Jericho delivered a stellar match. It was high on the fundamentals, got a lot of big air and hit just the right amount of submission moves and finishers to get the crowd in the Quaker state Arena out of their seats. Styles was allowed to use more of his arsenal in this match with Jericho and the match was much better for it. Jericho looked as good as ever with his strikes stiff and his “Walls of Jericho” locked in tight. Styles managed to hit the “ Styles Clash” and “Calf crusher” in his victory over Y2J. The two men then had a tense moment before the veteran Jericho extended his hand in a show of respect. Edge and Christian Featuring the New Day. A break segment for the crowd, The New day interrupted Edge and Christian. The comedy act was working well for both parties before Edge and Christian pointed out the fact that the New Day has no competition for their tag team championships. Once this was pointed out the League of Nations was quickly injected into a pseudo feud with the New Day. The entire segment was essentially a plug for the new WWE network show. A match that is used a prelude to the main event at WrestleMania pitted brother against brother against beast. The match kicked off at a furious pace with Ambrose and Reigns reaching Suplex city in less than three minutes. Ambrose took the fight to the Lesnar teaming up with Reigns to take the beast out of the fight by putting him through a table. The high light of the night was the beast that would not go down. It took putting him through two tables to incapacitate Lesnar. Afterwards Reigns and Ambrose had a good match with Reigns attempting a Samoan Drop on Ambrose before Lesnar made it a double suplex. The match was entertaining until the last three minutes. With reigns firmly in a Kimura lock Ambrose took a chair to both competitors. However, Reigns no selling the chair shots and hitting the spear on Ambrose was a disappointing finish to a good match.